Media reported a few days ago that a new island had formed in the Arctic. Experts from the American Geophysical Union have established that an island has formed after the retreat of Coronation Glacier near Baffin Land. The new island can be seen on satellite photos. Arctic.ru has interviewed Nikolai Shabalin, Director of the Marine Research Center at Lomonosov Moscow State University, about this new piece of land. Mr. Shabalin, how did the new Arctic island form? There is nothing supernatural about this. You see, Coronation Glacier on Baffin Land has been melting rather actively since the late 1980s, and its annual melting speeds are accelerating, having now reached about 30 meters per year. The glacier's sections are located on islands and on the water surface. When the ice retreats, quite often, some islands are exposed. This island is larger than others and may therefore exist for a long time. What does the island look like? This amorphous formation consists of boulders and soil sections. They are quickly eroded by currents and are carried away by annual ice floes. This island will also disappear sometime in the future, and a bank covered by a shallow layer of water will remain in its place. This process may take several years. And what can scientists learn from it? 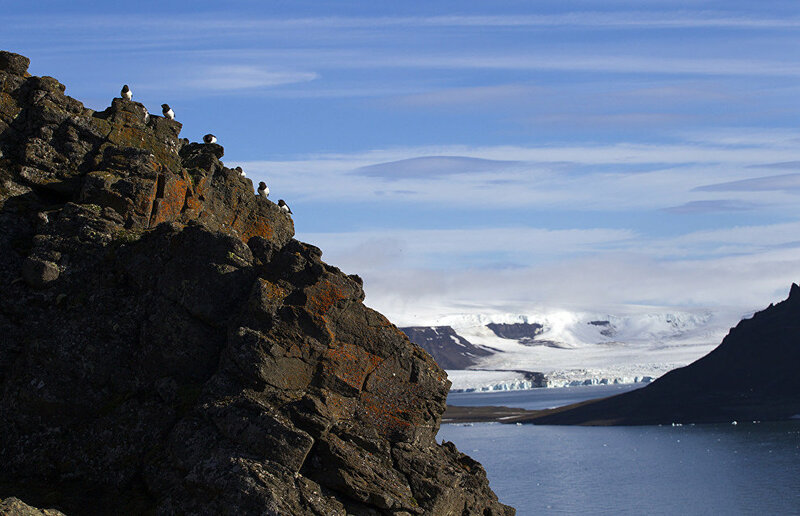 The island may prove interesting for geocryologists and glaciologists. For example, it is possible to study the erosion of Arctic shorelines and other formations, like this island, and everything linked with geomorphology there. We can take a number of satellite photos and see how long the island will last and how the shoreline changes. This makes it possible to effectively streamline methods for studying geomorphological processes from remote sensing satellites. Why do such glaciers form? Is this linked with global warming or is this a natural cyclical process, as many people believe? This is certainly caused by climate change. It is a fact recognized by most scientists all over the world, with only small groups denying climate change. Some opportunists claim that this is only a local peak, due to be followed by global cooling soon. But it's hard to deny statistics: global warming is currently taking place. Arctic temperatures are rising faster than average global temperatures. Sea-ice formations have been hitting an all-time low since 2007.